At Fastenal Manufacturing, we don't make the common fasteners found on your local Fastenal store shelf — We Make the Unavailable Part Available. That includes everything from complex machined parts and high-volume production fasteners, to large-diameter bolts and complete stud assemblies. Through our nine global manufacturing locations, we produce more than 70,000 jobs per year — each one a solution for a customer in need. The video below contains more information about the four "pillars" of Fastenal Manufacturing and how we can meet your needs for custom-manufactured parts with unmatched speed, precision, and quality. Fastenal has been hot-forging custom parts for more than 20 years, and today our Cardinal hot forging division encompasses three facilities, more than 20 experienced forge operators, and a spectrum of presses and materials. 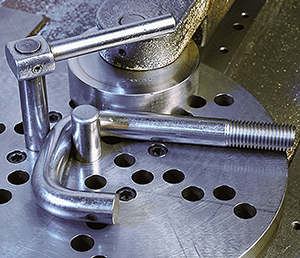 With millions of dollars in bolt blank inventory, hundreds of stock dies for common heading needs, and the ability to produce custom tooling within 24 hours for unique head geometries, we're ready to put your specialty bolt project into production. 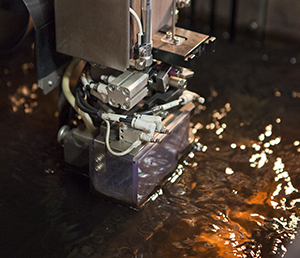 Our Holo-Krome division has been a pioneer in cold and warm forming techniques since 1929. 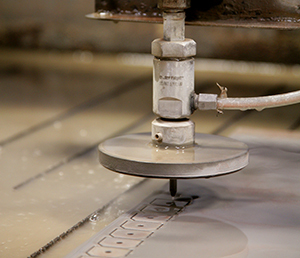 Today, that tradition of innovation and quality continues at our 200,000 square foot facility in Wallingford, Connecticut, as well as at our 100,000 square foot facility in Loves Park, Illinois. With 70-plus cold headers in all, we have the capacity to produce more than 30 million critical-application parts per week to keep our customers' production lines and equipment running. As an ISO 9001:2008 manufacturer, we maintain full traceability of raw materials and stringent quality control during each phase of production. 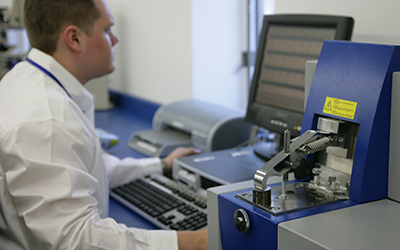 With multiple ISO/IEC 17025 accredited labs, millions of dollars in testing equipment, and some of the most experienced operators, engineers, and quality personnel in the industry, we don't just produce parts — we produce perfection. 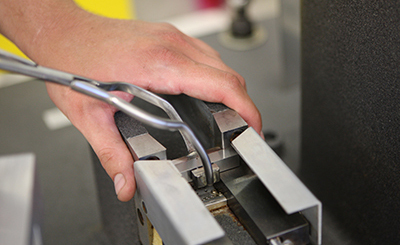 Our precision machining operations span seven locations worldwide, more than 350 skilled machinists, and nearly 220 CNC machines. 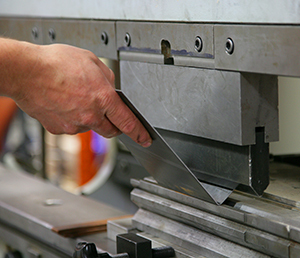 We specialize in turned and milled components like shafts, pin plates, blocks, and all kinds of specialty items, with deep experience in industries such as oil and gas, food and beverage, power generation, pulp and paper, heavy equipment, and many more. Need a production component, replacement part, or prototype? We can make it happen. Maximum turning length of 82.7"
Tolerances as tight as +/- .0001"
VMC: 45" x 20" x 25"
HCM: 30" x 26" x 26"
We complement our four manufacturing pillars with a range of additional operations and services that enable us to provide solutions for less common needs and minimize our reliance on outside vendors. In most cases, we're able to complete the entire job — from raw material to packaged product — within our facilities, giving us complete control over quality and delivery time. We specialize in producing high-integrity stud bolting solutions for the oil and gas industry and other customer segments. 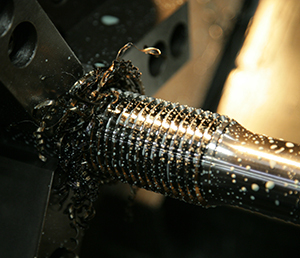 Our primary stud bolting location is our 30,000 square foot ISO 9001:2008-certified facility in Houston, Texas, where 34 operators work four shifts, 24/7, to produce more than 3.6 million custom studs per year. We also provide the nuts, washers, and gaskets that work with these studs, enabling us to deliver complete, kitted stud assemblies to your point of use, a time-saving solution for turnarounds and shutdowns. A lot of costs go into a piece of metal — there's machine time, equipment wear and tear, and labor for cutting, material handling, and scrap cleanup. Let Fastenal absorb these costs by providing your material in pre-cut lengths to suit your needs.